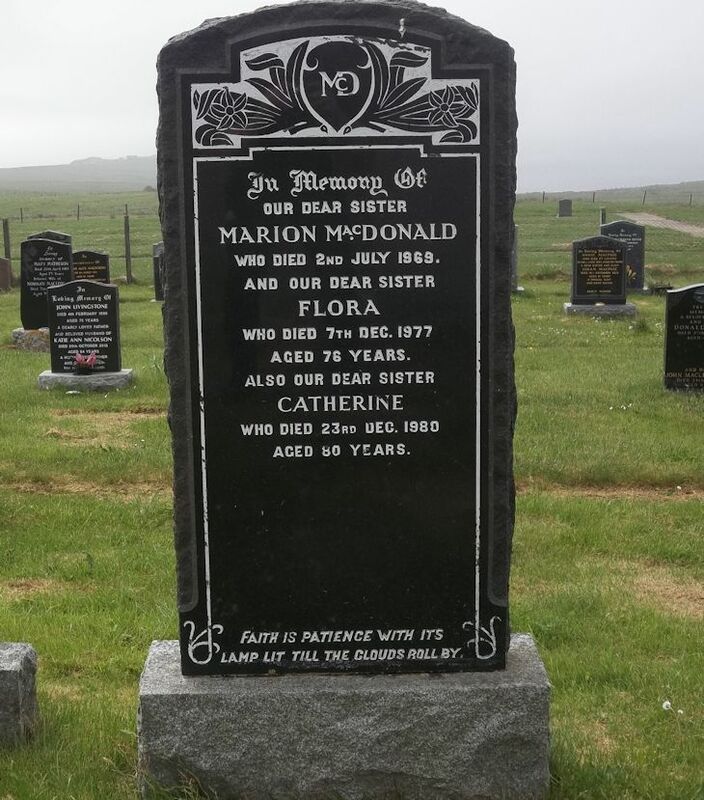 Skye Gravestones | Marion, Flora & Catherine MacDonald. Marion, Flora & Catherine MacDonald. In memory of/our dear sister/MARION MacDONALD/who died 2nd July 1969/and our dear sister/FLORA/who died 7th Dec. 1977/aged 76 years/also our dear sister/CATHERINE/who died 23rd Dec. 1980/aged 80 years. Faith is patience with its/lamp lit till the clouds roll by.